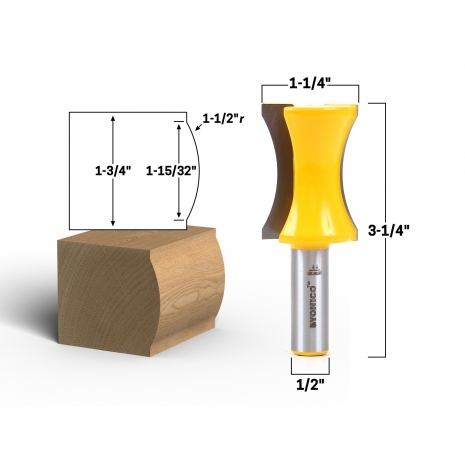 This convex edge router bit has a convex cutting height of 1-15/16" with a 1-1/2" radius. 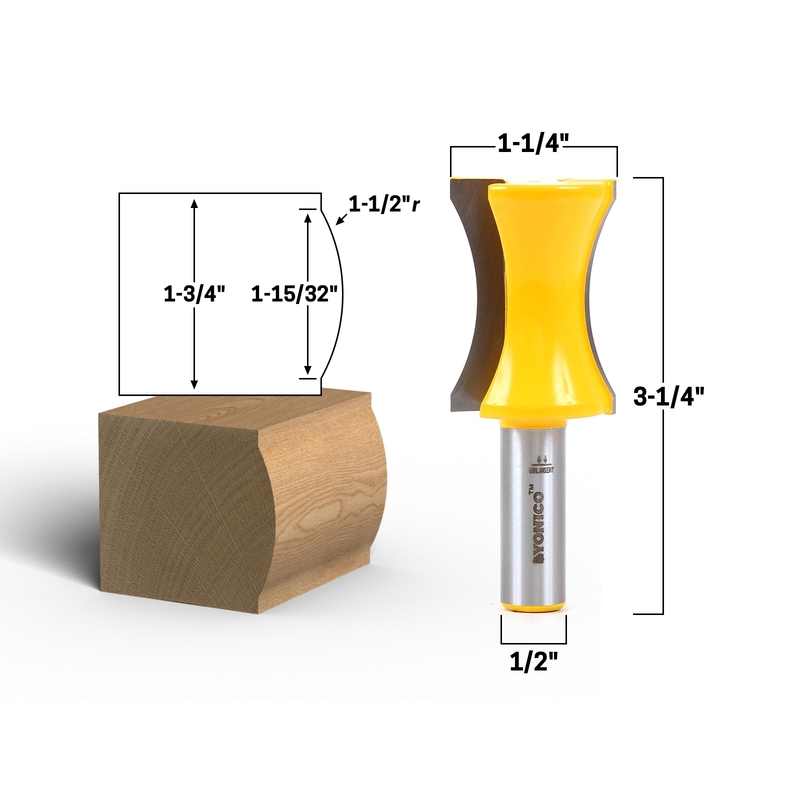 The overall length is 3-1/4" and the shank is 1/2"
Convex edge router bits add a shallow bullnose to the edge of a board. This is often found on stair treads and shelf edges.